It may only be a matter of time before people begin replacing body parts with bionic alternatives that do all of the same things and more, and in a ay it has already begun: these three patients had their limbs severed and prosthetics added to increase their functionality. The individuals in this case all had nerve damage between the nerves of their spines and hands, resulting in mostly or entirely paralyzed limbs – with no potential for recovery, the choice to replace simply made the most sense. 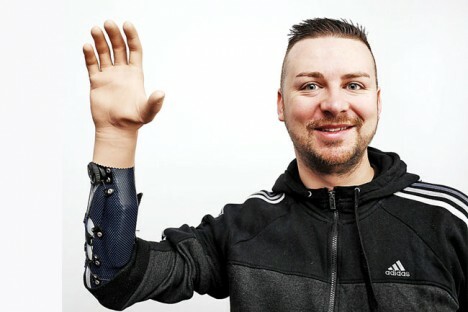 These ‘bionic reconstruction’ surgeries were executed by Oskar Aszmann at the Medical University of Vienna, Austria. 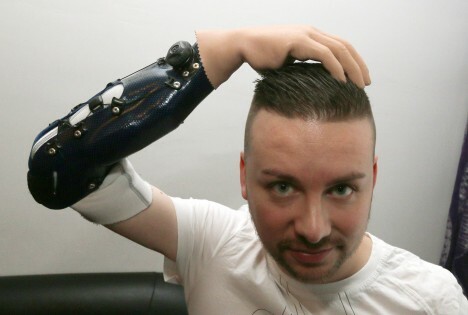 Grafted muscle relays translate signals from the patients’ brains to their artificial limbs. The new hands need to be powered to function properly and are recharged each night. 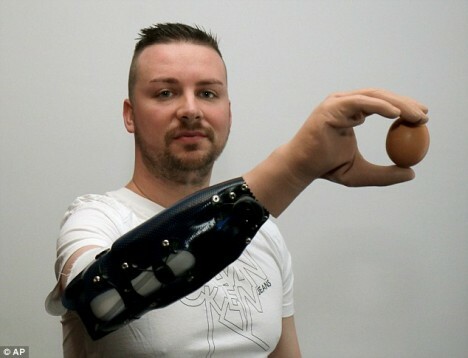 These bionic enhancements are still not as capable as ordinary hands, but it may not be too long before they are. For now, they can perform simple but powerful tasks, like picking up and holding objects, pressing buttons and gripping surfaces. See more in Cybernetics or under Technology. May, 2015.